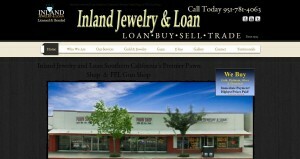 Inland Jewelry & Loan address, phone, website, hours of operation, and more. We take pride in our reputation for always beinghonest and friendly. We are honored to be the longest standing family operated pawn shop in Riverside. We have been giving generous loans in the Inland Empire for over 18 years and have been in the business for over 26 years. We always love to see new faces and want to help out those in need! Our staff is always discrete, ethical, and very confidential with all transactions. We are located in an extremly secure and safe neighborhood that is always electronically monitored. And all our valuable merchandise is stored in a high security vault.